Dansport's popular men's style. Order 1 size smaller than your American size. This style is available in Medium and Wide widths with a 1½ inch heel. 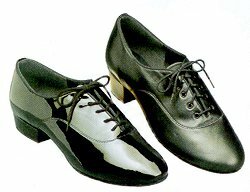 An ultra flexible version of the very popular Tango. Medium D width only. 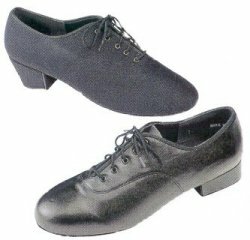 Made by International Dance Shoes in England. Order 1 size smaller than your American size. A full-cut shoe with an easy fit offers extra cushion and compression heel for more give. 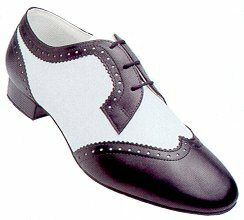 Made in England by International Dance Shoes. Order 1 size smaller than your American size. Some combination of width/heel/color not available -- call for details. The men's Latin shoe that revolutionized the industry. Created for World Latin Champion, Donnie Burns. 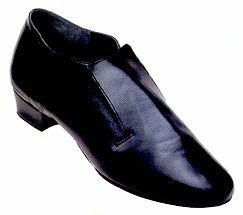 This flexible shoe, with a half shank, allows the foot to arch and "feel" the floor. Medium C width only. Donnie and Gaynor line from Freed of London. Order 1 1/2 sizes smaller than your American size. 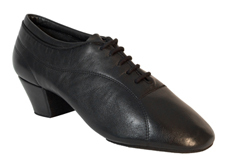 * 3/4 heel only available in Black Leather. 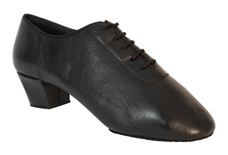 New from International Dance Shoes of England. 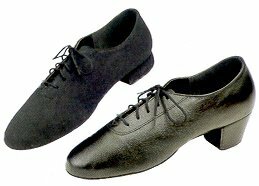 This sleek style builds on the world wide success of Internationals' Tango shoe, featuring a cushioned and compressed heel design. 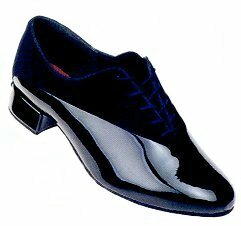 Available in Black Patent/Black Nubuck combination, Medium D width and 1" heel only. Order 1 size smaller than your American size. 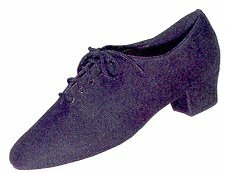 Popular soft Latin shoe. Made by Supadance in England. Available in Black Nubuck only. Order 1 size smaller than your American size. 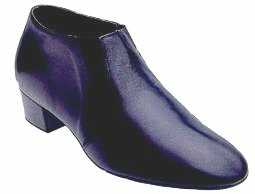 A stylish slip-on Latin Boot with elastic side gussets. Made by Supadance of England. Available in Black Leather with 1 1/2" heel only. Order 1 size smaller than your American size. Wide-fitting shoe with rounded roomy toe box. Made by Freed of London. Order 1 size smaller than your American size. 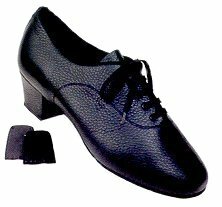 Latino Superflex -- New from International Dance Shoes of England. 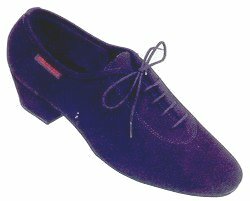 This style builds on the world-wide success of International's Tango shoe. Flap across top of shoe conceals zipper/laces to give the ultimate Latin look. Available in Black Leather, Medium D and 1 1/2" heel only. Order 1 size smaller than your American shoe. Designed for maximum flexibility and comfort. 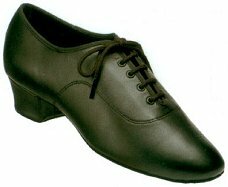 This shoe is a great choice for the serious competitor but is also comfortable and stable enough for teaching long hours. Features snap-in replacement heels (sold separately). Made by Dance Naturals of Italy. Available in Black Leather, Medium B and 1 3/4" heel only. European sizing: order your American size plus 33 for equivalent size. Ray Rose. Available in Black Leather and White Leather. Available in 1 1/2" or 2" contour heel. Order 2 1/2 sizes smaller than your American size. Medium and Wide width. Pictured: Black Leather. Ray Rose. Available in Black Leather and Black Patent. Available in 1 1/2" signature heel only. Order 2 1/2 sizes smaller than your American size. Medium width. Pictured: Black Leather.